How are your wedding preparations going so far? HELP!! Get Help!! You will not be able to do it alone! And by help, I mean some applications that will make your life a lot easier! TRUST ME. Ok, you should know that they won’t do all the job, but at least they will help you do it. WeddingHappy has one of the best wedding to-do lists. It allows you to sync events and contacts with your phone's calendar and address book. It even has its payments tracking system for you to define your budget and include all the payments you did. It will then automatically adjust your balance, give you a cost per guest, and show you the remaining budget when you enter a fee. This wedding-planning app gives you a personalized timeline for what you need to do and when. You just put in your wedding date and location, and you'll have a checklist of what you need to do day by day. Download Lady Marry on iTunes or Google Play. Consider it your personalized wedding organizer with unique wedding ideas and themes. The plus here is that they have a lot of inspirations! Download The wedding planner by the knot on iTunes or Google Play. 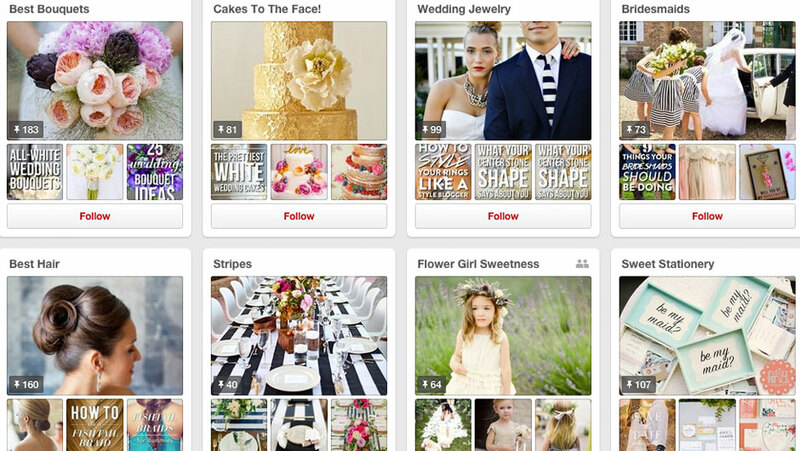 Pinterest is the world’s catalog of ideas. No no, you really need this to organize a wedding! You just open secret boards like dress, shoes, flowers, tables…. and start pining anything that you liked NOT NECESSARILY ON PINTEREST. You can also pin on your boards ideas that you have found anywhere. In fact, 90% of the websites today have the “pin it” button that will take you directly to your board. So once you finalized all your research, you go back to these boards and proceed by elimination, until you find exactly what you want and start the production part with your vendors. Download it on iTunes or Google Play. Get inspired, download your destinations' maps and check what exactly you might be doing there. It depends on whether you’re a city lover or into islands! Get to know more about your destination before going! It is crucial if you are planning a destination wedding. Style and functionality perfectly blended together. Appy Couple lets you share your wedding details and updates with your friends, family and guests, from Save The Date to Honeymoon.